Atlanpole Biotherapies, together with 10 other leading business support organisations in 7 countries, have joined forces to enable you to benefit from the services of the European project Boost4Health ! Boost4Health provides practical and financial support to small and medium-sized enterprises who wish to explore their international growth potential. If you wish to increase your international network, find expertise abroad and validate your products in another market: join Boost4Health! > What can Boost4Health do for you concretely? 2. 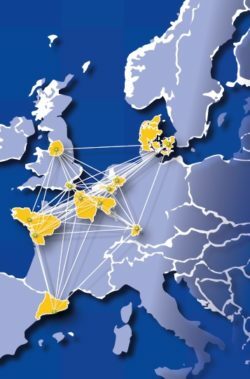 The 11 organisations across Europe involved in Boost4Health can put you in touch with experts and contacts in their region. Or contact a local Boost4Health officer to request a specific search for expertise. Your collaboration can be financed with Internationalisation vouchers from 3000€ to 5000€.